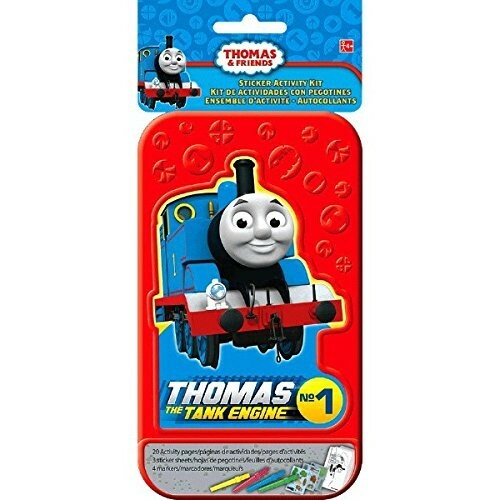 Kids will have hours of fun with their favourite Thomas characters when they play the Thomas Fish Card Game. This fun Thomas card game can be played by kids of all ages and is great for their memory development. When kids play the Thomas Picture Bingo Board Game, they can go on a journey with Thomas & Friends to collect picture chips. The first to cover 5 squares in any direction wins! Puzzles are always great fun for kids and adults alike! The Holdson’s Thomas and Friends Pin Puzzle is made of robust plywood. Suitable for younger children aged from about 18 months. There are seven Thomas and Friends character shapes to match to the correct space. Older children can read all about Thomas and his friends, then put the jigsaw pieces together with the “Really Useful Engines” Thomas Jigsaw Board book. And so much more. $0.99 NZD $0.79 NZD Sale!